Così scriveva Honoré de Balzac nella prima metà dell’Ottocento. Quanto mi manca poter ancora avere a che fare con la materia viva. Il marmo può contenere opere magnifiche,far provare emozioni inaspettate e regalare un po’ di sana bellezza al mondo intero. 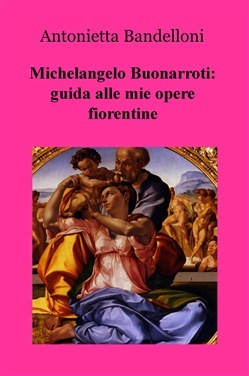 Il sempre vostro Michelangelo Buonarroti che stamani s’è svegliato più malinconico del solito. Sculpture according to Honoré de Balzac is like dramatic art, it’s the most difficult and the easiest of all the arts. Copy a piece of art and the work is all done; but to give a soul, creating a type, when trying to represent a man and a woman, is the sin of Prometheus. In sculpture, these successes are rare as much as there are poets in the world. Michelangelo, Michel Columb, Jean Goujon, Phidias, Praxiteles, Policleto, Puget, Canova, Albert Durer are the brothers of Milton, Virgil, Dante, Shakespeare, Tasso, Homer, and Moliere. The work of these sculptors is so great that a single statue is enough to immortalize them. Honoré de Balzac wrote this idea in the first half of the nineteenth century. I truly miss being able to work with this tangible good. Out of marble comes many magnificent works, and give unexpected emotions and also gives a wholesome beauty to the entire world. Yours truly, Michelangelo Buonarroti who this morning woke up a bit more melancholy than usual.